Let your friends and family know your new address! 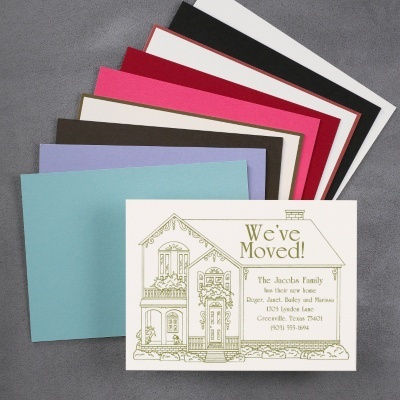 Browse our large selection of custom printed Moving Announcements. Cards or postcards available in a variety of styles. Plain mailing envelopes included with all orders.